These unique apps are offered to IAOMT Members completely free of charge. They will be provided as Website Plug-ins and Ekwa teams will help the IAOMT members get it set up. Just click on the App to make a request for Ekwa’s support! Ekwa Marketing has a long-standing alliance with the IAOMT. 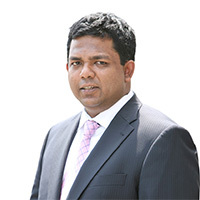 As an IAOMT member doctor, you have a direct line to Naren Arulrajah, CEO of Ekwa Marketing, and a leading digital marketing coach. Call Naren for a free one-on-one consultation and a strategic digital marketing review of your dental practice. Just received my latest marketing report and this is great news! I am very happy with the number of new patients I am getting from the Internet. Thank you for all the hard work and keeping me updated with new information! My experience with the Go Live Team was great! You are very responsive, and I'm always so busy. I really appreciate everything you do for me. My patients are telling me they found my practice website at #1 on Google when searching for mercury free dentist. My beautiful website just went live 2 weeks ago!